Stroll your way up top of Richmond Hill, grab a pint in The Roebuck Pub, then wander out across the street, grab a seat on a bench and enjoy one of the most beautiful and the only “protected” view in London. Overlooking the Thames River, this park land was once the royal hunting preserve for Charles I. 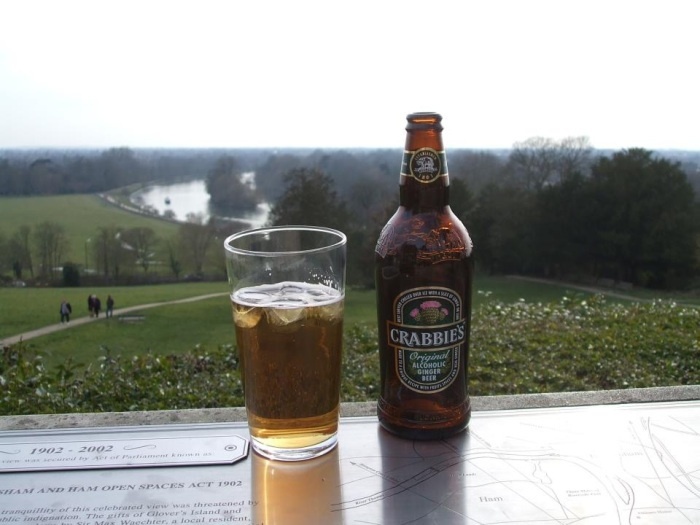 When your done visiting with friendly strangers and enjoying a Crabbies Ginger Beer, just leave your pint glass(es) in the wire basket on the steps.